For many years, IBEW Local has been a proud sponsor and friend of the Ronald McDonald House in West Philadelphia. The non-profit provides free housing and meals to families whose seriously ill children are receiving care at Children's Hospital or St. Christopher's Hospital for Children in Philadelphia. 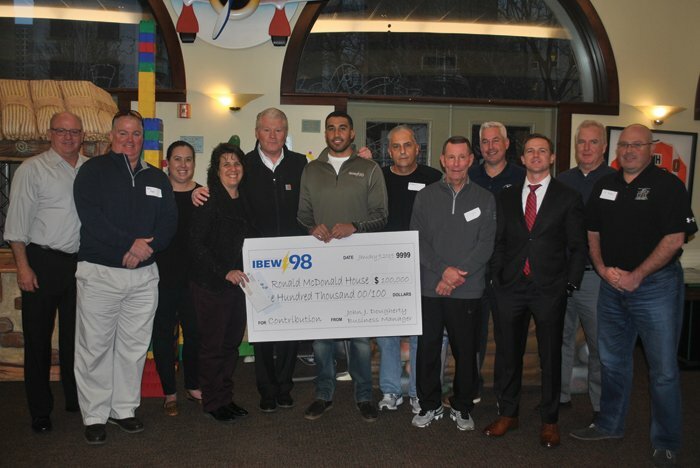 In November 2018, IBEW Local 98 Business Manager John J. Dougherty presented a check for $100,000 to Philadelphia Ronald McDonald House Executive Director Susan Campbell to help fund the facility's much-needed expansion to serve more families at its West Philadelphia location. In addition, IBEW Local 98 is sponsoring the 10th Annual "Change the Luck of a Child Telethon" to raise additional funds for the Ronald McDonald House. Be sure to tune in to CBS 3 Philly and B101 Philly on Tuesday, March 26th from 6 am to 8 pm. 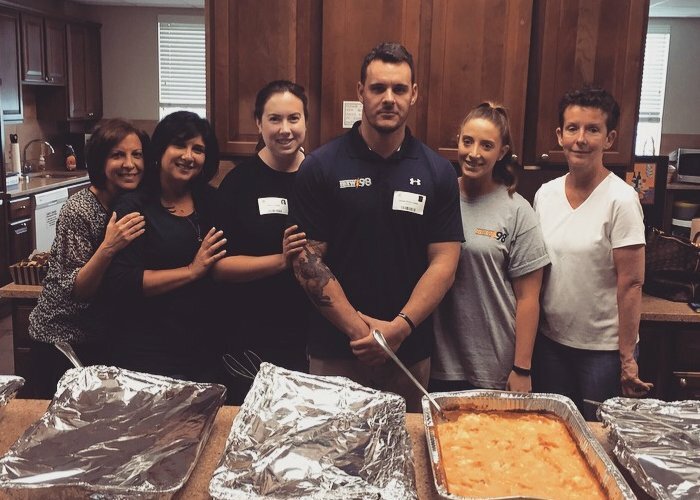 In addition to providing the Ronald McDonald House with financial support over many years, IBEW Local 98 members frequently volunteer to prepare, cook and serve fresh, hot meals to families staying at the facility. For this labor union, it's a labor of love. Local 98's support of the Ronald McDonald House is just one of the many charitable initiatives the union undertakes year after year. This is what we do. This is 98.